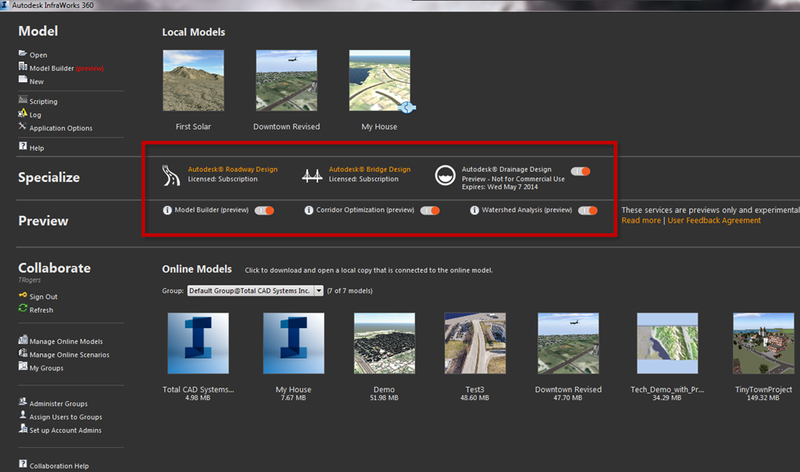 As most of you saw the blog I posted the other day on InfraWorks 2014 R4, there is some confusion that I want to clear up. Even though the installation and desktop icon state that it is R4, it is actually InfraWorks 360. I will be updating my previous post and all the other shared places so that there will not be anymore confusion. Sorry about that, and I hope this helps clear the air. 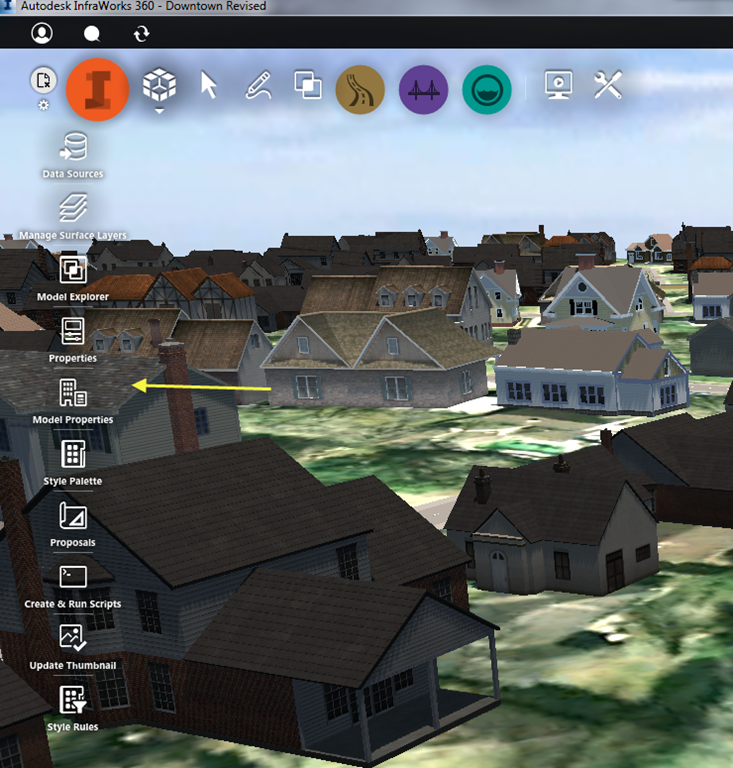 Now that you are familiar with working inside InfraWorks, get ready for a HUGE change. The User Interface (UI) has been significantly revamped. It took me a couple of weeks to get used to it and find what I was looking for. 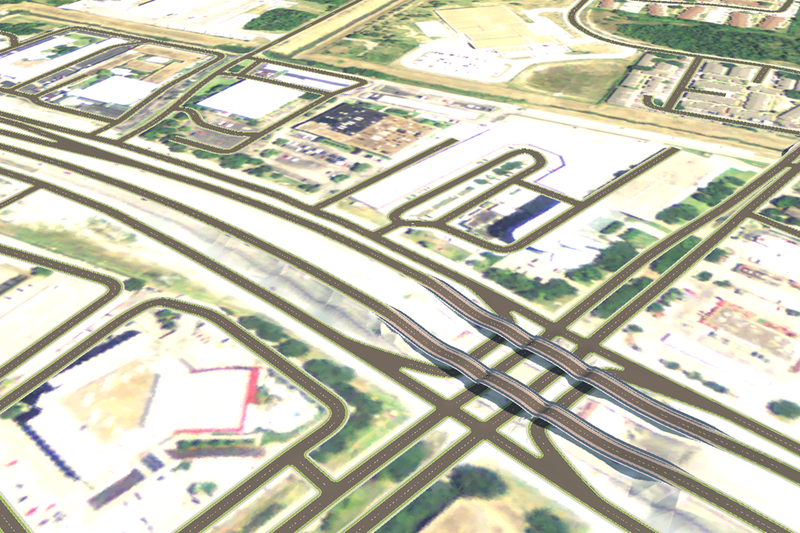 You can see the area I drew a box around has many new options for design within InfraWorks. You have the option to turn some of these features on or off. There are now options for Bridge Design, Drainage Design, Model Builder (which I will show later in the post) and a Watershed Analysis. Now are some of the commands looking familiar? 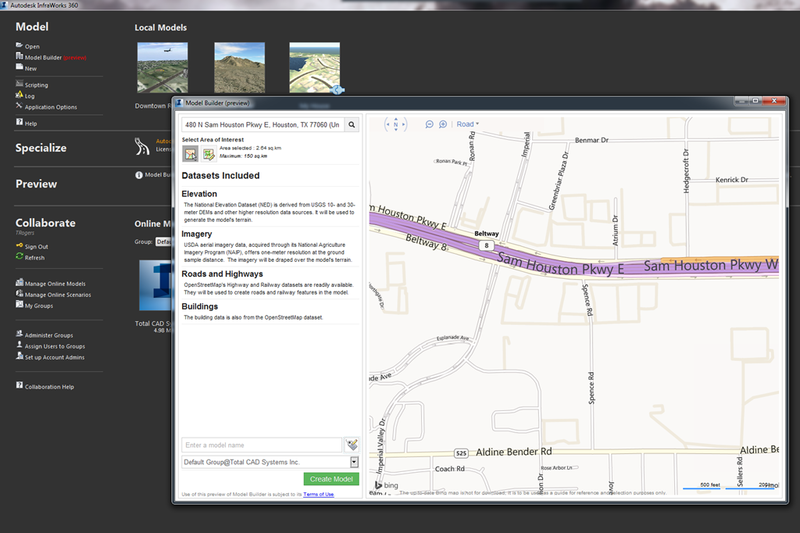 Keep in mind, the aerial is not that great, but it can be replaced in your data sources with a better aerial. Well good luck, it’s going to take some getting used to! There was incorrect information in our February 2014 eNews. The information stating "For a Limited Time: Renew your expired Autodesk Subscription now without a late fee." is incorrect, and this offer has expired. Please disregard this. 480 N. Sam Houston Pkwy. 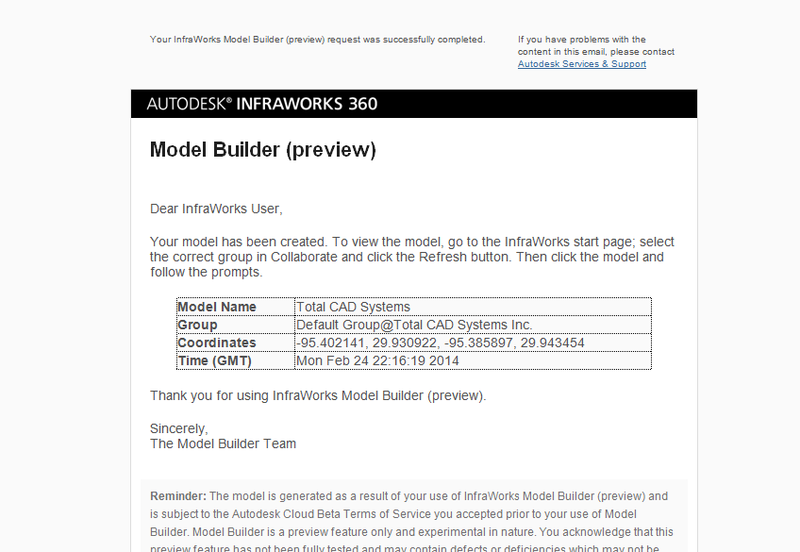 E.
Beginning February 1, 2015, upgrades from previous releases will only be available with Autodesk® Subscription. Upgrade today and add Subscription so you’ll alwys have the latest software at your fingertips. Have Autodesk® 2008 software? Be sure to take advantage of this offer soon, as 2008 version products will only be eligible to upgrade until March 31, 2014. After that date, it will be necessary to purchase a new license. For more information, visit our promotions page or call the office at (281) 445-6161. Save $200 on new perpetual licenses of Autodesk AutoCAD LT products in addition to a $180 mail-in rebate*. For a limited time from February 3, 2014 through March 27, 2014 (dates are inclusive), customers can receive $180 rebate, in addition to an instant discount of $200, on new perpetual licenses of select Autodesk® AutoCAD® LT® products when purchased with Subscription. *Mail-in Rebate is applicable to the purchase of a new Autodesk product license with Subscription, as listed in this table (Eligible Products). Product Enhancements are made available through Subscription Center as soon as they are released. Helpful links. Autodesk is giving ALL U.S. Middle and High Schools free software. They want to prepare these students to become more adapted to design. This “project” is called STEAM (students training in Science, Technology, Engineering, Arts and Math). You can read the article in The Wall Street Journal here.